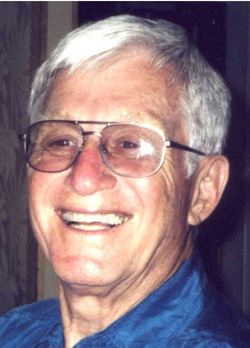 •	Do the scrolls have any significant linkage to the cult of the Essenes , an ascetic cult believed to have inhabited locations near where the scrolls were found ? 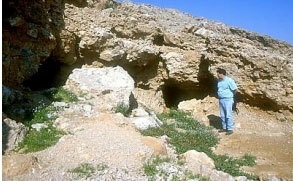 •	How did the scrolls come to be deposited in caves on the western edge of the Dead Sea? To the first question, I argue there is no evidence that the Essenes had a role to play in either the origin of the scrolls or of their deposit in the caves. 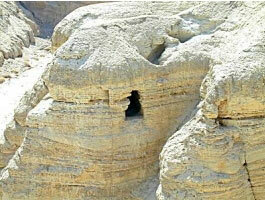 The only nearby known ancient human habitat in the vicinity of the scroll caves is a hill-top excavation known as Qumran. 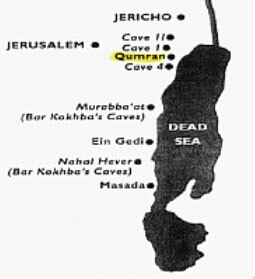 Thus, the argument that Qumran was an ascetic Essenes commune is subject to question. 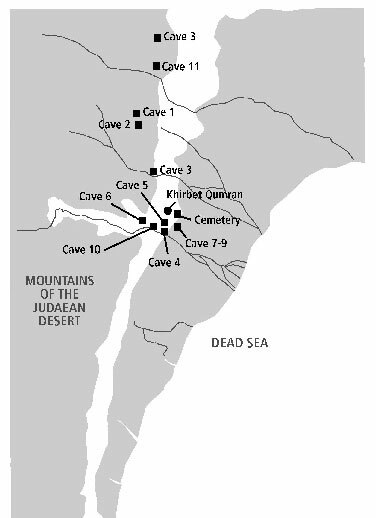 And when I consider the location of the caves and their accessibility…see below…I have additional reason to doubt a linkage of the Essenes to the caves and their scrolls. To the second question, I argue that the scrolls were placed in the caves by agents of the Temple priesthood to safeguard them from the ravages of the Roman army. Thus, I conjecture that the priesthood, fearing for the preservation of the holy Torah and its antecedents (i.e., the historic scrolls dating back to 150 BCE), making every effort to safeguard these sacred objects from certain destruction, had them removed to a site far from Roman forces. It’s obvious they were placed with care… note the pottery containing one of the scrolls…with the thought of retrieval at some future time. I also find it relevant that one of the scrolls was scripted on copper and listed many gold and silver objects assumed taken from the Temple. Had the priesthood not taken such measures, the fate of the holy scriptures might well have suffered the scene depicted here: Titus’ triumphal procession displaying the treasures (including the Menorah) of the Jewish Temple to the Roman people.